Cage kit has same features as regular Premium Cage. Shipping is a lot cheaper for kits. Metal or plastic trays. Clips and rings included. You will need clip pliers.These cages are knocked down for cheaper shipping. Trays are slide out. 4" high urine guards on sides and back. All Premium Cages have babysaver wire on the front. Bottom wire is 1/2"x1" 14 g. galv. after welding. Cage kit has same features as regular Premium Cage. Shipping is a lot cheaper for kits. Plastic Tray Only. Clips and rings included. You will need clip pliers.These cages are knocked down for cheaper shipping. Trays are slide out. 4" high urine guards on sides and back. All Premium Cages have babysaver wire on the front. bottom wire is 14g gal. after welding. Bottom wire is 14g. 1/2"x1" Galv. after welding and has 4" urine guards.. Plastic tray only. The kit is shippable. Clips and rings included. You will need clip pliers. These cages are knocked down for cheaper shipping. Trays are slide out. 4" high urine guards on sides and back. 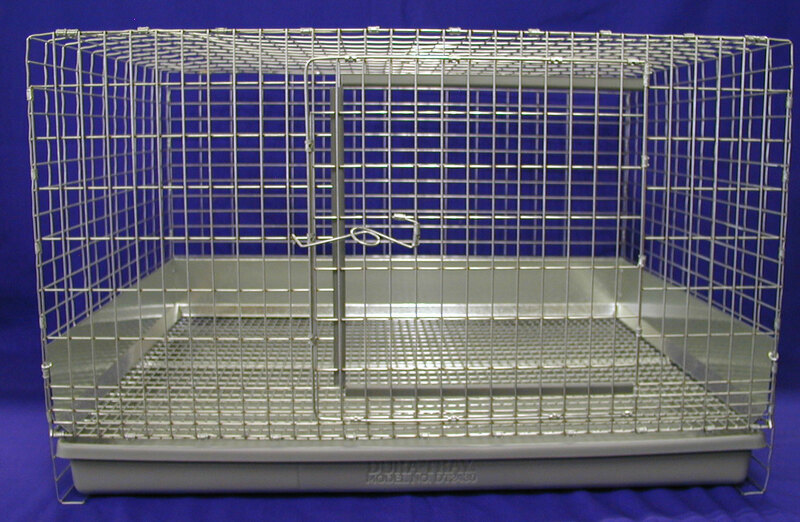 All Premium Cages have babysaver wire on the front.